ONLY ONE MORE WEEK TO ENTER! Contest ends next Friday, September 5th, midnight Eastern Time. Please get your entries in now! It's a nonfiction give-away contest of gigantic proportions! To support the children's nonfiction community, our fifteen published authors have each agreed to DONATE A SIGNED COPY OF ONE OF THEIR BOOKS. That's FIFTEEN books all to ONE LUCKY WINNER. Here are the rules. Each entry must consist of two parts: 1. In one sentence or less, tell us why you read the I.N.K. blog. 2. In as much space as you need, describe what you've done to support and encourage nonfiction in your classroom, library, home, or community. Photos are a plus. We will select the winner based on the strongest, most original and all encompassing approach to getting nonfiction noticed. All entries should be submitted by email to: interestingnonfictionforkids at gmail dot com. We will send you an email letting you know we’ve received your entry. Entering the contest implies your consent to use the contents of your entry on our blog for promotional purposes. Writers, educators, and children's literature enthusiasts...heads up! These two conferences have accomplished nonfiction authors speaking as well as some big fiction names...Avi, Sara Weeks, Richard Peck, Pam Muñoz Ryan. Please pass this information on to other listservs, websites, writer friends, and educators. They are young conferences so not everyone is aware of them yet and they should be. Be sure to sign up early to reserve spaces. Wordworks is an inspiring and instensive day-long workshop on writing children’s books. Four published authors and one New York editor will share specifics on how to craft books, both fiction and nonfiction, that will resonate with children for years to come. You can choose among picture book, novel, and nonfiction intensive sessions. Join us for a day dedicated to help YOU write and market your best work! Faculty will be Kathi Appelt, Lola Schaefer, April Pulley Sayre, Rebecca Kai Dotlich, and Harpercollins Editor Anne Hoppe. Voices in Children’s Literature is a day devoted to teachers, librarians, parents, and writers, young and old. It is an opportunity to discover the stories behind the stories – and understand the decisions that authors, illustrators, and editors make about character, style, information, plot or format. Come join us for an incredible day of Authors Reader Theater in the morning and an in-depth examination of the craft that creates the best of good books in the afternoon. A.R.T. authors appearing will be bestselling authors Richard Peck, Sarah Weeks, Pam Muñoz Ryan, and Avi. Faculty for craft sessions will be Kathi Appelt, Rebecca Kai Dotlich, April Pulley Sayre, Lola Schaefer, and Susan Rosson Spain. Lately I’ve been doing research on the American Revolution for several biographies I’m writing. (I find that research for one subject often turns up the next subject.) While the same information shows up in many of the books I’ve read, I’m intrigued by the novel approaches nonfiction authors find to resuscitate the old facts and figures. Finding the way into a story – the “hook” – often takes me two or three (or more) drafts. Surrounded by alluring anecdotes, details, and theories, I will hack my way through my overly-dense early drafts until I begin to recognize the story I want to tell. Why couldn’t I see it from the first? Other authors must surely do it better and more quickly than I do? Will practice make it easier? Rhetorical questions these. On I bushwhack at my own sluggish pace. Meanwhile, other authors have come up with some great hooks on the Revolution. Thomas Flemings’s EVERYBODY’S REVOLUTION describes how many different ethnic groups fought for independence, not just English-Americans, allowing children of more recent immigrants to relate to that far-off era. Laurie Halse Anderson’s INDEPENDENT DAMES focuses on the feminine patriots who advanced the American cause, often in unconventional ways. The Brown Paper School USKids History BOOK OF THE AMERICAN REVOLUTION combines essays, fictional pieces, games, recipes, and crafts to draw readers into the fray. Guilio Maestro’s illustrations in LIBERTY OR DEATH show us battle formations, maps, uniforms, and portraits of the major players, enlivening the traditional text by Betsy Maestro. GEORGE VS GEORGE: THE AMERICAN REVOLUTION AS SEEN FROM BOTH SIDES by Rosalyn Schanzer, while rooting for the Americans, does give us a glimpse of the British perspective. Another side of “our” George (Washington) is revealed in Peggy Thomas’s FARMER GEORGE PLANTS A NATION. Who knew he was an inventor, barn designer, and proto-environmentalist with his compost experiments and “make and buy local” policy? Perhaps my favorite view of the Revolution came from Thomas B. Allen’s GEORGE WASHINGTON, SPYMASTER: HOW THE AMERICAN OUTSPIED THE BRITISH AND WON THE REVOLUTIONARY WAR. This story of spies, counterspies, covers, moles, double agents and cut-outs is a thrilling one, full of twists and turns, codes and ciphers, traitors and heroes that don’t make the ordinary history books. Slipping across the border into fiction, I must mention Kay Winters’ COLONIAL VOICES: HEAR THEM SPEAK. Though the dozen or so “voices” are her own creations, she takes us to Boston on December 16, 1773 from dawn to dusk, to witness the historic Boston Tea Party. And since I’m on “the other side” I have to mention two new Revolutionary War novels with slave protagonists. Laurie Halse Anderson’s CHAINS, gives us a girl in British-held New York – with an ending that hints at a sequel. M.T. Anderson’s second volume of THE ASTONISHING LIFE OF OCTAVIAN NOTHING transports a Massachusetts slave to the British Army in Virginia. And wandering a bit farther afield, I just read a terrific picaresque adult novel I must champion: JOHNNY ONE-EYE: A TALE OF THE AMERICAN REVOLUTION, by Jerome Charyn. It will change your view of George Washington forever. All my reading shows me that history can be revived again and again in the hands of a good writer. And my latest book hook….. still working on that. Jan Greenberg is on vacation. Please enjoy a summer repeat of her first post from back in March. This morning in the New York Times I read about another outed memoirist, Margaret B, Jones, whose account of life as a foster child growing up in the drug infested L.A. projects, Love and Consequences, turns out to be pure fiction. This follows on the footsteps of another recent fabrication, Misha Defonseca’s Misha:A Memoir of the Holocaust, which includes a story about being raised by wolves. Wolves? Did anybody who read it believe this? Meanwhile I’m slogging away with my writing partner Sandra Jordan, trying to copyedit for the twentieth time every detail, including a complicated List of Artworks, Bibliography, Quotes, text and more of a non-fiction project Christo and Jeanne-Claude:Through Tthe Gates and Beyond, scheduled to be published sooner rather than later. It might have been easier to write a novel based on these fascinating, strong-minded artists. But it is not a novel. It is non-fiction. The beauty of biography lies in digging deeply into the life and art of someone else and getting it right. The challenge in writing about living artists is telling a vivid story that does not begin “They were born” and ends “They died.” We cannot put words in the subject’s mouth or invent the action. Frankly if I were writing about myself, I would turn it into fiction, as I did in my first autobiographical novel A Season In-Between, back in 1979. It was more fun that way. Jones’ editor, who recalled all the books, says there were other ways to tell that story instead of lying about it. The book might have been a terrific novel..I wonder what others think about this? Let me pose a question. If you were writing a memoir, would you feel it was proper to sometimes exaggerate or embellish the facts of your life? My new book, Side by Side: New Poems Inspired by Art from Around the World, an anthology that I edited, will be published in April. This is a repeat of my post on February 25, 2008. I have made some changes and added a few new pictures. The opinions and questions of children often fascinate and delight me. As an author o f non-fiction children’s books, I receive many letters from young readers. One that stands out came from a nine-year old girl named Lisa who wondered about the accuracy of various statements in my first book, How Much Is a Million? I was thrilled to receive her letter, for I am always happy to learn that my books are being read critically. In my presentations at schools, I often tell children, "Wondering is wonderful." I find it wonderful that Lisa is wondering about the truth of statements in my books. I wish more readers of my books—of all books—would wonder about them the way Lisa does. Active minds read critically, questioning what they have read as the reader blends his or her own experiences, knowledge and observations with the author's raw ingredients. Critical readers ingest a nourishing stew that is more than a bowl of information. The members of this particular class doubted that the average elementary school student is only 4’8” tall, and to prove me wrong, they measured every child in the school. They found the median, mode, and mean, and they graphed their data in several ways. Finally, they declared that the average height is only 4'4" (132 cm). But they didn't quit there. Like a journal article by professional scientists, the report included a section devoted to reflecting upon their results. Scientists would call it the “Discussion” section. In it, the students wondered aloud if there were a legitimate explanation for the four-inch discrepancy between the average height I reported and what they found. They proposed some possibilities: Their school stopped at Grade 5. Maybe I used data from an elementary school that went up to Grade 6 or 8. That might explain why my average height was higher than theirs. Alternatively, their school could have been shorter than normal... or perhaps mine was taller than normal. Or maybe I just measured a single child and declared him or her to be normal! “He’s 4’8” and he looks normal,” I might have said, “so that’s the average. Done!” I find their out of-the-box thinking quite impressive. In If You Made a Million, my book on money (using United States currency), I write that one million dollars would be equal to "a whale's weight in quarters." A group of children wondered if a whale really did weigh the same as four million U.S. 25-cent pieces. They looked up the weight of a blue whale (appx. 60 tons or 54,400 kg) and calculated that the blue whale’s 60 tons is the weight of about 10 million quarters or $2.5 million— not $1 million, as my book says! They wrote to tell me their results, and in my reply I pointed out that the book does not name a particular species of whale. It simply says a million dollars is equal to “a whale’s weigh in quarters.” And in the back of the book, where I provide the calculations, I specifically note that the weight of a million dollars in quarters (about 50,000 pounds or 22,680 kg), is "the approximate weight of many kinds of whales, including the sperm whale." Then, as if anticipating their objection, I had added the fact that blue whales can be much heavier. After recovering from laughter, I wrote back to suggest that they take it up with the illustrator, Steven Kellogg. * Note: I am using the American definition of “billion” as 1,000,000,000 or 109. Traditional British usage is different, although the American form is being used increasingly in Britain. SOMEONE WILL WIN 15 BOOKS. I.N.K.’s Spectacular Fifteen Book Blast Give-away. It's a nonfiction give-away contest of gigantic proportions! To support the children's nonfiction community, our fifteen published authors have each agreed to DONATE A SIGNED COPY OF ONE OF THEIR BOOKS. That's FIFTEEN books all to ONE LUCKY WINNER. Here are the rules. Each entry must consist of two parts: 1. In one sentence or less, tell us why you read the I.N.K. blog. 2. In as much space as you need, describe what you've done to support and encourage nonfiction in your classroom, library, home, or community. Photos are a plus. We will select the winner based on the strongest, most original and all encompassing approach to getting nonfiction noticed. All entries should be submitted by email to: interestingnonfictionforkids at gmail dot com. We will send you an email letting you know we’ve received your entry. Entering the contest implies your consent to use the contents of your entry on our blog for promotional purposes. The deadline to enter is Friday, September 5th. The winner will be announced on the I.N.K. blog. 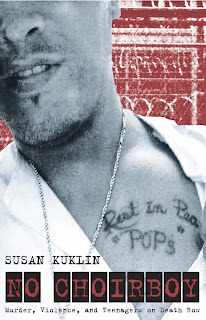 This summer, my favorite read was The Case for Make Believe by Susan Linn. Her book is a must read for anyone involved with the growth and development of a child; teachers, librarians, parents, caregivers, etc. Linn paints a picture of the culture we have created for our children and beautifully pleads the case for play, make believe, and creativity. Her words have stayed with me all summer. In setting out to write this end of the summer post, play wouldn't escape my thoughts. "How can we add more fun and play in our children's lives?" "How can we add more make believe and creativity in our children's lives?" Screen media is less apt to generate creativity and imagination than radio and books---which require more of us. Reading requires us to imagine both aural and visual images. Books may be the single most important part of playtime for children, but they are often forgotten, perhaps, because one seldom thinks of them as 'toys'. Yet their entertainment value (when used appropriately) cannot be surpassed, and they are essential throughout a child's development. My word/mantra for 2008 is FUN. Since play is FUN, I asked, "Is there play in Nonfiction books? Are there books that you can play with? Are there Nonfiction books that foster make believe play?" 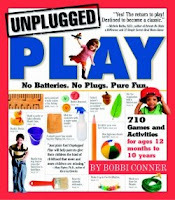 Unplugged Play No Batteries. No Plugs. Pure Fun. With the thousands of fantastic infant/preschool soft and board books for children, this book is my absolute favorite! Anyone care to share some fun and playful nonfiction books? What’s a lightning-speed way to get a group of reluctant nonfiction readers interested in true stories? Take them to the big screen. I was recently at the movies with a group of kids between the ages of 7 and 13, most of whom prefer fiction and tend only to read nonfiction when directed. Everyone got settled with their popcorn and drinks. Then, the lights went down. The previews began. And two sneak peeks stole their hearts. The first one: The Express: The Ernie Davis Story. This feature film follows the courageous life of college football titan Ernie Davis, who was the first African-American to win the Heisman trophy. We adults already have the context of racial issues in the 1950s and 1960s in our consciousness. But contemporary kids do not necessarily have the sights and sounds of the Civil Rights movement at their fingertips. The kids I was sitting with were mesmerized—not by the football or the stellar playing of Davis—but by the very premise of this movie. They were outraged. Intrigued. They looked over at me with eyes wide open in disbelief. They wanted to know more. And then the preview ended. They started to fire whispered questions at me, but there was no time. Another preview trailer was beginning. “Hey,” I whispered, “After this, why don’t we go find out.” "Yeah,” said the boy sitting nearest me. “That looks really good. I can’t believe a true story could be so exciting." “Welcome to my world, you guys.” They laughed and gave me those rare nods of “you old people aren’t so bad” I have come to adore. When it comes to nonfiction though, there are plenty of subjects that haven't been adapted for the picture book age. My first school visits inspired an idea...it became clear that writing was emphasized at an earlier age in the curriculum than during my elementary years, even in Kindergarten. The thought occurred to me that if these young students had writing skills, what could they do with them? How about making a newspaper? I checked in Children’s Books in Print, and there weren't any books for kids about it, except perhaps a documentary-style book about being a journalist. I wanted to show characters working together to create their own newspaper. That question, “what can kids write?” resulted in The Furry News: How to Make a Newspaper, then later books about writing letters and books. I routinely research the competition (if any) to see if a subject has been done to death or not. Rather than a drive to the library to rummage through Books in Print, nowadays a search on Amazon quickly shows what has been published. (The Advanced Search limits titles to the 4-8 year range for picture books.) It’s not uncommon to find a topic that has only one or even zero picture books about it, which makes me more inclined to pursue it. Also, and this may be obvious, but Amazon or any search engine is the best way to test titles. For example, once I was considering When Pigs Fly as a title, but there were already several published books entitled with that phrase. No sense in confusing potential readers. Often teachers, librarians, parents, and other book people can suggest ideas. “You should write a book about X.” These are often excellent leads, although despite several suggestions I have yet to attempt a book about Groundhog Day. When I send out my enewsletter, I always ask for ideas and usually get some good ones. Editors are another great source, naturally. My longtime editor (Margery Cuyler) once told me there weren’t many picture books about math and how about giving one a try? Which has turned into eleven books so far. Not every externally-generated suggestion will fit, which is the way it goes. But sometimes a not-so-good idea can spark a thought process that leads to a great one. Checking out curriculum guides and/or standards can be intriguing, such as those developed by the National Council of Teachers of Mathematics. These can often be viewed or downloaded from the web sites of national associations, local school districts, or from a state level organization, such as this one for Florida. I don't know about you, but to me this practically pulsates with possibilities: Differentiate between living and non-living things. I'm on vacation! Here's a summer repeat of a post from back in April. In his post entitled, History: What's the Point? Don Brown points out that many kids are bored when they study history in school because, basically, the presentation stinks. The world of children's nonfiction still has a long way to go in figuring out how to write and present information in a way that truly appeals to kids. There are some bright spots to be sure. A couple of weeks ago I had the giddy- with- excitement treat of hearing a talk at the New York Public Library with two writers who are rock stars at making history interesting for kids. Their names: James Cross Giblin and Russell Freedman. That's Mr. Giblin on the left, Mr. Freedman on the right. They don't look like rock stars at first glance? Well, apparently they've been friends since 1960 (they described each other as their oldest publishing friend) so they must have learned how to go incognito by now. I thought I'd share some of what they talked about with the hope that we can all better understand how it is possible-- albeit time consuming, strenuous, and far from straightforward-- to make history a great read that can appeal to a wide variety of kids. Here’s a bit of what they had to say. Questions were posed by John Peters of the Donnell Library Center of the New York Public Library. How did you come to write about history? JCG: When he started writing, he was already an editor. This gave him the luxury to write what he was interested in. He was a child of WWII and became interested in history that way. RF: He was a history buff as a kid and read two books that taught him how interesting history could be. (The Story of Mankind by Hendrik Van Loon and This Believing World by Louis Browne). They both showed him the possibility of language and how well a nonfiction book could be written. He learned that it was impossible to tell the story without getting into the mind of characters (the beginning of his interest in biography). In addition, he learned that history lends itself to a narrative thread. How do you approach biography? JCG: He believes it always starts with character: getting to know them, what they did, etc. Out of that comes the narrative line. Then you find the character’s action line, in a similar way to a playwright. RF: His philosophy: writing biography is like being married. He usually spends a year or longer on a book. He consciously chooses not to live with someone he thinks is despicable so he likes all the people he writes about. JCG: He doesn’t mind writing about people he doesn’t like (for example, Adolph Hitler). He finds these kind of people complicated, sometimes contradictory, and thus good subjects for biography. JCG: To begin researching, he reads as much as he can. He outlines a lot, overall and then chapter by chapter. He’s a very slow writer. Every sentence and paragraph must sound right before he goes on. Usually this produces one major draft,then touch ups, and then he's finished. RF: He spends 3 or 4 months reading and researching before attempting to start writing. His first draft includes everything he can think of. He usually writes six or seven drafts. He feels a book is never really finished. He never achieves the ideal image of the book he had in mind when he started. How did you become involved with photo biography? JCG: RF claims JCG first mentioned the term to him years ago. RF then said the first subject should be Lincoln because he was the first President to be photographed. RF: He believes photos are an enhancement. The language must evoke the world and the person or else you are lost. When asked how they make their writing appropriate for children, RF responded, "You don't simplify, you distill." Alice Provensen turned 90 on August 14th. She was born in Chicago but resettled in California. There she worked for Walter Lantz Studios of Woody Woodpecker fame. When World War Two started, the studio making training films for the military. While making one for the Navy, she met Martin Provensen, a Disney artist on loan to the Lantz studio. They married and moved to New York City, embarking on a joint career in children's book illustration. They moved to rural Staatsburg, New York and converted a barn into a studio. The two collaborated on book after book. Their home inspired several books, including A Year at Maple Hill Farm. Although its roots in Fifties design are unmistakable, it still remains an engaging visual treat. In 1884, Alice and Martin won the Caldecott Medal for The Glorious Flight: Across the Channel with Louis Blériot, July 25, 1909. The remarkable history book should remind everyone that liveliness and effervescence are not the sole domain of fiction. I have no doubt it inspired readers of all ages; It certainly inspired me to pursue a career in children's non-fiction. In 1987, Martin died. Alice rejected the idea of retiring and in 1990 released The Buck Stops Here, a history of the American presidency. Combining her routinely superb art work with cleverly presented facts and information, the book was a well deserved hit. Other books followed including A Day in the Life of Murphy, and Klondike Gold. 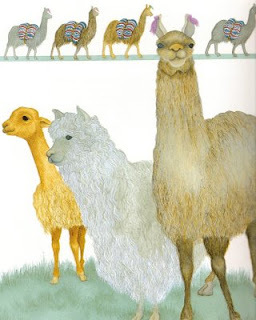 I hope she's still working hard at Maple Hill Farm, still setting the bar for excellence in children's literature. Only three more weeks to enter the contest! If you know of a deserving library, school, community or family that could truly benefit from fifteen donated books, please help us spread the word. We've estimated the books are valued at $250! I used to think this happened only to me, but talking with a number of other writers, it’s a phenomenon that affects many of us. Why? For me, most of my royalties come in April, right about the time when school visits are also winding up. As if by some evil conspiracy, most editors also go on vacation (or, at least, it seems that way) so very little happens in the way of new contracts and advances in the summer. What’s a writer to do? Buy canned goods in spring? Tell the kids to forage in the woods for their meals (assuring them that summer is the time of abundance)? Tell your in-laws that unless they pay your mortgage, their grandchildren will be out on the streets? As appealing as these ideas are, I’ve found that none of them are very effective. About the only thing writers can do is try to diversify so that not all of our payments come at the same time. In addition to my novels and science books, for instance, I’ve been writing a series of “American Heroes” biographies for Benchmark Publishing the past few years. These are nice because I can plan them so that I am usually getting a few paychecks in the summer. I also work with enough different publishers that, by the luck of the draw, a couple of them pay me royalties at the end of June. Still, these do not usually amount to serious mortgage money. About all most of us can do is try to plan ahead, not buy too many toys in the spring, and hang on until the writing weather improves in the fall. Ironically, though summer leaves me cash-poor, it makes up for it by providing my richest writing time. With school out, I find myself at home a lot more, and with a big enough chunk of time to tackle one or two large projects. Just yesterday, I finished the first draft of a new novel. Before that, I made serious headway on a book about the environment for older readers. Best of all, I still have about six weeks left to write before a busy fall travel season. So, every August, while I am lamenting the dwindling number of digits in my checking out, I remind myself that this is my time to explore new territory, break new ground, and enjoy the real riches that the writing life offers. It’s August and I am submitting Blog Light. Light because it’s a short entry, but it's still a weighty consideration. Several years ago I was at my desk, struggling to find a simple way to explain a complex idea. Frankly I can’t remember what it was, hopefully something terribly hard like gravity or relativity or, worse, the electoral college. I was tired and discouraged and tempted to go “encyclopedic,” just put down the facts in as simple a way as possible and be done with it. But then I had an amazing thought: There was a chance that whatever I wrote could be a child’s first encounter with that fact or idea. If it was presented not only clearly, but interestingly and even magically, it could make a real impact. Needless to say, I worked harder. Since then I try to keep this realization in mind for almost any subject matter. I think about the possibility that what I’m saying could help a kid understand or put a name to what he is feeling. It could open up a new part of the world or give a child a new way to see a part of the world she already knew. It could create a lifelong interest. It can help someone learn to see the magic in the everyday. What a responsibility. What an opportunity. And here is a notice for teachers and librarians who live close enough to the Boston/Cambridge area. I’m involved in a program you might be interested in. On September 17th, Lesley University is hosting See How They Run: Teaching the 2008 Election to Growing Voters. I am talking about my book (See How They Run: Campaign Dreams, Election Schemes, and the Race to the White House) and how it can be used in the classroom. Dr. Jo-Anne Hart, who also teaches at Lesley in the School of Education, will discuss the “Growing Voters” curriculum she has designed for grades 1-12. There will also be facilitated breakout sessions for participants to exchange ideas with others who work with similarly aged students. September 17th, 4:30-8 p.m. at Lesley University, University Hall, 1815 Massachusetts Avenue, Cambridge, MA 02138 (parking in back). Admission is $10, but that includes the cost of handouts and a boxed dinner. Reservations are required and seating limited, so those interested should contact Beth LeBeau at 617-349-8624 or mlebeau3@lesley.edu. There is a common — and inaccurate — belief that humans represent the apex of animal evolution. A typical representation of this anthropocentric bias is a diagram that shows a progression of animals: amphibian climbing from the water, dinosaur, bird, early mammal, ape, primitive man, and finally Homo sapiens. Rather than thinking of ourselves as the tip-top point of the tree of life, it’s more accurate to imagine that we occupy a twig somewhere one of the many branches of a bush. The real winners in the game of life-on-earth are, without a doubt, bacteria. True, it’s hard to fully appreciate organisms that are too small to see, but a few statistics make the point. Bacteria, or something very much like them, have lived on earth for some four billion years. They are found in rock as much as a mile below the surface (it’s possible that subterranean bacteria comprise the majority of the planet’s biomass); in clouds; in solid ice; in deep-sea hydrothermal vent water hotter than 220° F; in the radioactive water in nuclear reactor cores — almost everywhere. And they live in these places in unimaginable numbers. A gram of soil in our backyards may contain well over one billion bacteria. Our bodies, by cell count, are mostly bacteria. They outnumber our own (very) roughly 50 trillion cells by ten to one. Without bacteria, the biosphere would immediately – and perhaps totally — collapse. If humans were to vanish tomorrow, we’d hardly be missed. What’s the point of all this? In part, it’s to point out that we tend to see the world in human-scale terms. Bacteria, fungi, protozoans and other microscopic organisms are much more important in our lives than large African predators, as fascinating as they may be. And don’t even get me started on parasites. Is there a book here? Almost certainly. Will I write it? I have no idea. But if I don’t (or even if I do), someone else should. I look forward to reading it . . .
We don't toot our own horns very often around here. Yes, here comes the but. BUT there are two special events, starting today and in November, that happen to be the subject of two extraordinarily good books by two of our writers. Today, 08-08-08, good fortune brings us the start of the Summer Olympics. Sue Macy has a totally engrossing book, newly rereleased, called SWIFTER, HIGHER, STRONGER. A PHOTOGRAPHIC HISTORY OF THE SUMMER OLYMPICS. National Geographic knows how to produce nonfiction at its best, interweaving photos and text in just the right combination. Sue tells some wonderful history of the Olympics, including some controversies and heroes we might have never known. 11.04.08 is rapidly approaching and before it does you'll want to get the children in your life a copy of Susan E. Goodman's new book SEE HOW THEY RUN. Your kids will finally understand how the election process works and then they can explain it to you. Susan does manage to do the seemingly impossible and explain the electoral college process and even hanging chads. So toot, toot to our I.N.K. writers for writing informative, timely nonfiction that can be appreciated by a wide audience. Do you, our readers, have anything you've read recently you'd like to toot about? I have one. I was lucky enough to get a review copy of Jessica Loy's WHEN I GROW UP. A YOUNG PERSON'S GUIDE TO INTERESTING AND UNUSUAL OCCUPATIONS (HOLT, 2008). This is a fascinating read where we are introduced to inspirational career choices beyond the standard doctors and lawyers; here we meet a guitar maker, lobster fisherman, and game designer among others. I found four or five possible paths to pursue when I grow up. What are the good nonfiction reads you've discovered this summer? Go ahead, give a toot. P.S. The comments feature through a reader is unfortunately still not working. Please come directly to the blog (http://www.inkrethink.blogspot.com) to comment. As young writers we are taught “write what you know.” But when I became a writer, I found myself much more interested in what I didn’t know. I can think of nothing more exhilarating then tackling a subject that is as far from my life as possible, and then, go on a spectacular treasure hunt for facts and ideas. I write a lot about dark subjects for young adults. Many nonfiction writers are drawn to tough themes as a way to go beyond the sound bites, the headlines, and the slogans that make up much of our lives. “An eye for an eye....” “Do the crime, do the time.” “Just say ‘no””. Life is more complicated than what these and other sayings imply. There are a range of ways a writer can go beyond slogans. What works for me is writing books based on interviews. I find it fascinating to interview an individual and then write personal accounts from my subject’s point of view. From these accounts, along with additional background material, I try to shape a coherent story. The final narratives are usually reviewed by my subjects to be certain there are no mistakes. I’ve been doing this for years and no one has ever asked me to change an idea or statement so that he will look good. This method can be used with just about any nonfiction, including biography, current events, and even history. Interviews work particularly well when facing dark subjects, such as boy soldiers, Nazi youths, or teenagers on death row. Nevertheless, dark subjects can be difficult on many levels. It can be difficult for the people interviewed in the book. They reveal their lives and bare their souls. Ishmael Beah’s intimate memoir, A Long Way Gone: Memoirs of a Boy Soldier, is a comparable case in point. Ishmael’s personal experience during a very brutal time in his country’s history is a clear example of how events affect an individual’s life. He is able to describe the brutal war in Sierra Leone in a way that statistics, and even photographs of thousands of nameless dead, do not. It can be difficult for the writer who has to maintain objectivity. Susan Campbell Bartoletti has talked about making tough decisions while writing her fascinating book, Hitler Youth: Growing Up in Hitler's Shadow. Susan interviewed people who had participated in the Hitler youth program before and during WW II. They described the idolization, the camaraderie, and the conformity that helped Hitler come to power. Very few analyses beat the power of those testimonies. It can be difficult for teachers and librarians who have to deal with the politics of a controversial book. They are on the front lines. They must balance a heavy work load, the possible wrath of their community, and the possible loss for simply standing up for the First Amendment. By the way, we authors do what we can to support them. It can be difficult for the reader who may have never before had to confront the world that they find in a particular book. A few days ago my book, No Choirboy: Murder, Violence, and Teenagers on Death Row, was published. Readers, especially those who have not been exposed to maximum security prisons and Texas’s death row, have already told me about strong, emotional reactions that they’ve experienced while reading the book. Perhaps this is because the stories, written in their voices, are very personal, raw, and current. It’s not history. It’s happening right now. How about this slogan: “If you’re not part of the solution, you’re part of the problem.” Now, that’s a saying I can get my teeth into. But it’s still a slogan. If dark subjects are so difficult for everyone concerned, why are some us drawn to them? Why do we write about civil rights, human rights, famine, strikes, black lists, torture, and death? There was something about teenagers on death row that called to me. It demanded to be heard. I absolutely had to write this book.Why? I haven’t a clue. Does anyone out there in cyberspace have the answers? Did you know that a book contract can be the equivalent of a free ticket to an exotic location? The inspiration for that discovery occurred as the result of a trip to Alaska in 1987. I had been invited there back when they had money for an “Authors to Alaska” program. In the course of my travels, I was introduced to Alaskan artist, Barbara Lavallee, and decided it would be fun to work with her. I created a series entitled “Imagine Living Here.” The first book was This Place is Cold about Barbara’s home state (which I had traveled all over). The second book was to be This Place is Dry about the Sonoran Desert of Arizona. To plan the trip I called the Arizona tourism people, asking them what we should see there. Lo and behold, they offered us discounted hotel rates since we were doing public relations about the state. Aha! This was the first glimmer of how to see the world without breaking the bank. There is no substitute for a nonfiction author than first-hand experience. You have to be there to know how a place feels, and smells, and tastes. You discover delightful details that add credibility to the work. Cowboys wear chaps on the desert to protect them from the Jumping Cholla cactus spines. Llamas on the altiplano of Peru wear colorful tassels in their ears like earrings. Why? Because it’s an open range and each rancher brands his own llamas with a particular color. The farther we went, the more freebies we got. Over the years I worked with tourism agencies for Brazil, Japan, Australia, Uganda, Kenya, Turkey. Barbara and I cruised the Amazon, trekked Machu Picchu, snorkeled on the Great Barrier Reef, did game drives on the Masai Mara, explored the caves of Cappadocia, to name a few of our adventures. Despite the fact that we live 4000 miles apart, we became very close friends. A broken tooth in Cuzco, pneumonia in Rio, a back spasm in Australia, were great bonding opportunities. Our products: This Place is High (Andes), This Place is Wet (Amazon Rain Forest), This Place is Lonely (Australia), This Place is Crowded (Japan), This Place is Wild (East Africa). Each book is a narrative about a location as seen through the eyes of an author and artist. These trips required extensive planning, working months ahead of the actual travel dates. At first, I had to submit a letters from my publisher proving that we had an assignment. For later trips, I could show books. All countries gave us something, although some were more generous than others (Australia was the most generous). While traveling we took hundreds of photos, and hours of audio-taped interviews. I avidly collected literature from everyone I met. As Barbara later said about the trips, “We ate dessert first!” After we got back, there was the hard work of organizing the material into something coherent and meaningful. It helped to have a thesis for each book, going into the project. I have a number of friends who do travel writing but they have to write about particular travel experiences and the places are preselected. Not many children’s book authors approach these tourism people but they certainly rose to the occasion for us. Although much of the trips were “comped” additional expenses were also tax write-offs. So if you’re not rich, it pays to be smart! We don't back to school until after Labor Day in the New York area. We've heard that many of you in other parts of the country are not so lucky and will be heading back in the next week or so. 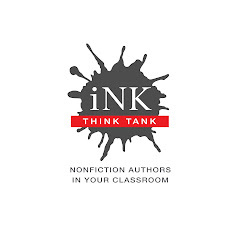 We want to encourage all of the wonderful teachers and school librarians to rethink how you will use nonfiction this school year. Please enter our contest so we can share your innovative approaches with everyone. We'd love for the $250 worth of books to go somewhere they will be read and used over and over again. We are trying to reach out to as many people as possible. If any school librarians can post our contest info. on the LM_NET, we'd appreciate it. On a side note, to all of you who read our blog through a reader: we are aware of the problem with the posting a comment function. We're trying to fix it. We are waiting for blogger to help us do us. Until then, please come directly to the blog (http://www.inkrethink.blogspot.com/) to share your thoughts and join in the discussion. Remember the disgusting, voracious insectile aliens from the "Alien" movies -- and how their blood was a kind of corrosive slime that burned holes into whatever it touched? Turns out that -- well, I'm getting ahead of myself. Let me answer the question in my title. What I'm researching right now: Caves. So, we have a highly toxic environment in these caves, too toxic for most known life forms. And yet there are microbes that dwell and thrive in these conditions. Generically they are called extremophiles. Some of these microbes form a kind of slimy matrix to live in, and threads of this slime hang like rubbery stalactites from the walls and ceilings. Called "snotties" (for obvious reasons) these microbes are giving scientists some new clues to possible life beyond our earthly boundary. Talk about thinking outside the box. So, what am I doing with this information? I don't know yet. That's the great thing about being a writer. I'm just following an intriguing trail to see where it takes me. At the moment my trail is leading me deep into a rather terrifying cave. If I don't make it back out ... send help! Get your entries in early. We'd like to share some of the innovative ways people are encouraging children's nonfiction throughout the month of August. We also have all of the information available on a PDF flyer. If you'd like to receive the information as an attachment that you can email, just send us a quick email at interestingnonfictionforkids at gmail dot com. I don’t know about you, but I can’t wait for the Summer Olympics to get underway next Friday. Of course, I may have more invested in them than the average fan. I’ve written two books on the Olympic Games (Swifter, Higher, Stronger, about the Summer Games, and Freeze Frame, about the Winter Games), and most of my books focus on sports. But it’s not just the athletic competitions that fascinate me. It’s also the personal stories of the athletes, the stories that exemplify the interaction of sports and society and the impact of the Olympics beyond scores and finishing times. One such story that already has surfaced involves Dana Hussein Abdul-Razzaq, an Iraqi sprinter who seemed to lose her opportunity to race when the International Olympic Committee (IOC) suspended Iraq’s National Olympic Committee due to interference by the Iraqi government. A Shiite athlete with a Sunni coach, Hussein is a symbol of unity in a divided land. As the only woman on the Iraqi team, she is also an example of the triumph of drive and dedication over a society’s oppressive rules and unsettled political climate. Fortunately, negotiations last Tuesday between Iraq and the IOC cleared the way for Hussein and one teammate to compete in Beijing. The truce came too late for five other Iraqi athletes in sports whose registration deadlines already had passed. You can bet I’ll be watching the women’s sprints to see how Hussein does. I’ll also be watching swimmer Michael Phelps, who most certainly will break the record for the highest cumulative total of gold medals won at the Summer Games, which is nine. He already has six from 2004. Phelps also has a shot at beating Mark Spitz’s record for the most gold medals at a single Games, which is seven. His teammate, Dara Torres, has a golden opportunity to make a splash by winning a gold medal at the ripe old age of 41. She wouldn’t be the oldest female gold medalist—that was 53-year-old Sybil “Queenie” Newall of Great Britain, who took the gold in archery in 1908. But Torres already has nine Olympic medals (four gold, one silver, and four bronze). Adding anything to that total would be icing on the cake for her and an inspiration to all of us over-40 (and over-50) gym rats. Each of these athletes would be a terrific subject for a kids' biography that explores the factors which drove them to excel. A different kind of book could be written about one of my favorite Olympians, the perennial silver medalist Shirley Babashoff. A swimmer at the 1972 and 1976 Olympics, Babashoff netted a total of two gold medals and six silvers. In 1976 alone, she came in second four times to East German women. To Babashoff, the extraordinary improvement in the Germans’ times, added to their surprisingly masculine appearance, suggested that they were enhancing their performances with steroids. And she said so to anyone who would listen. Her complaints earned Babashoff a nickname—“Surly Shirley”—and no end of criticism in the press. Years later, when the Berlin Wall fell and the records of East Germany’s widespread doping became public, Babashoff was vindicated. But the IOC never stripped the East Germans of their medals and Babashoff never received upgrades in the races she should have won. Her story would be a great jumping-off point for a book on doping in sports. I'm looking forward to seeing what other interesting developments will materialize in Beijing this month.